The High Leg cut creates the illusion of extra length and the high waist shape will flatter you around the middle. 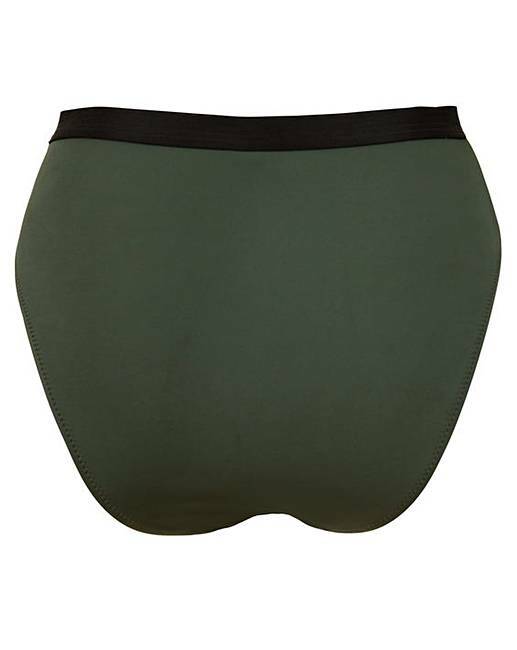 The High Leg brief is trimmed in black elastic at the waist, matching the tops perfectly. Matches perfectly with either the Underwired Converitable Top or the Sweetheart Lightly Padded U/W Longline Top.